Published: June 19, 2013 at 01:25 p.m. 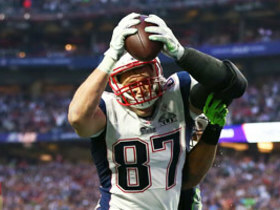 Updated: July 23, 2013 at 02:44 a.m.
New England Patriots tight end Rob Gronkowski will start the preseason on the physically unable to perform list, according to a person informed of the decision. That means Gronkowski will not be on the field with his teammates when they begin training camp. 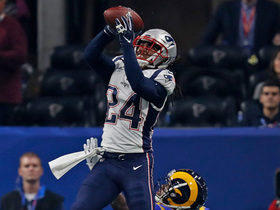 Debate: Pats due for a setback? Putting Gronk on the PUP list was an expected decision, given that he had back surgery Tuesday -- his fifth surgical procedure this year. The source clarified on Wednesday that the move is for certain. 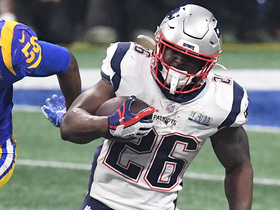 What is not known is whether Gronk will begin the regular season on the PUP list, a move that would allow him to be replaced on the roster for the first six games, at least. That is the big question. That decision will depend on how rehab goes. 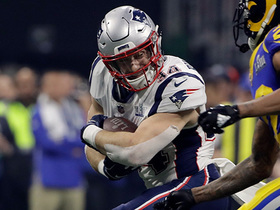 Gronkowski's recovery depends not just on the healing of his back and surgically repaired forearm, but also on how quickly he can get into shape and resume weight training. A source with information on Gronkowski's health said Tuesday, "He could be ready for the regular season."